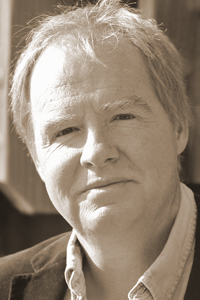 Greg Glazner is the author of two books of poetry, Singularity (1997) and From the Iron Chair (1992), which won the Walt Whitman Award, both published by W. W. Norton. His genre-bending novel in progress, Opening the World, has been excerpted in Colorado Review, Seneca Review, Idaho Review, Ploughshares, and Poetry, among other journals. His awards include a 1984 Bess Hokin Prize and a 2005 Literature Fellowship from the National Endowment for the Arts. Glazner is a faculty member at Pacific Lutheran University’s low-residency MFA program, and is a distinguished visiting poet at Wichita State University, winter 2012, and a visiting writer at the University of California–Davis, spring 2012.